Passed on February 11th 2005, the bill n°2005-102 for equal rights and equality of opportunities and the inclusion and citizenship of persons with disabilities constitutes one of the most important laws regarding the rights of persons with disabilities in France since the 1975 bill. Constitutes a disability, within the meaning of the law herein, any limitation of activity or any restriction of participation to societal life to which a person is subjected to in his/her environment because of a substantial, lasting or definitive alteration to one or several physical, sensory, mental, cognitive or psychological functions, because of multiple disabilities or because of an incapacitating disorder. Every company with 20 or more employees must have a minimum of 6% of its workforce composed of persons with disabilities. Making a financial contribution to the AGEFIPH (Fund Management Organization for the Professional Integration of People with Disabilities) is another way of complying with the law. 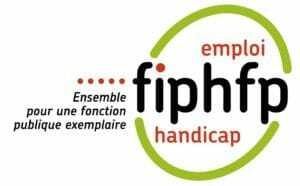 This obligation must also be fulfilled by public companies, which makes financial contributions to the FIPHFP (Fund Management Organization for the Integration of People with Disabilities in the Public Service).